« Ginkgo biloba …what is it good for? 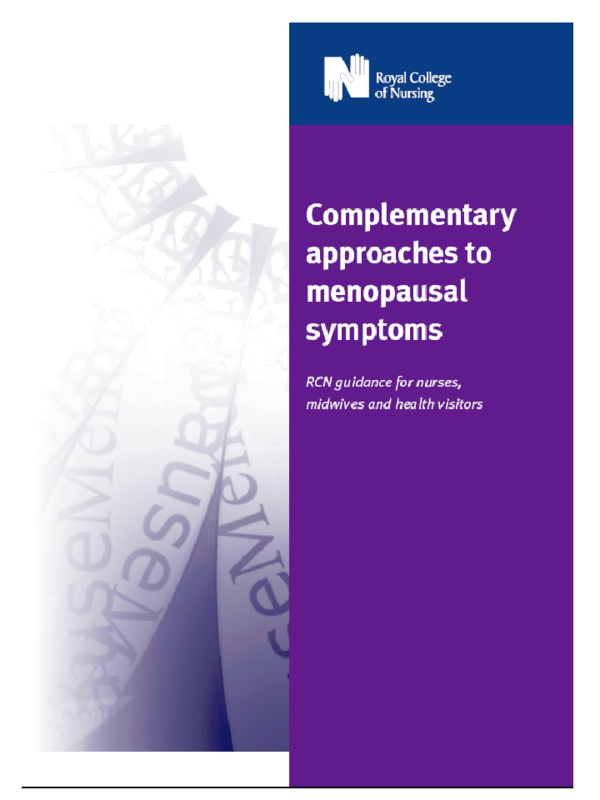 I’ve recently stumbled upon the Royal College of Nursing’s “Complementary approaches to menopausal symptoms” and I’m not overly impressed. So I’ve decided to review it in two posts. This post looks at some of its introductory sections and then focuses on what it has to say about herbs and the menopause. Don’t get me wrong, the document has its strengths: a good discussion of the placebo effect and information on possible side-effects from herbs, to name two. However, although it presents itself as a guide to help, “nurses working in the field of menopausal health” to meet their, “responsibility to educate women about alternative choices in a balanced but evidence-based way” it, I think, lets them down on a number of important points. It is suffused with some common logical fallacies; notably appeals to common practise and tradition. There also appears to be some preference for positive evidence over more recent negative evidence – I have no opinion on whether this is by accident or design. Reminders about the poor quality of much of the CAM literature and the denial by some of the practitioners of proper research methods are useful; as is the observation that the document deals with what are usually self-limiting symptoms. However, at no point does the document challenge the assertion of CAM apologists that the double-blind RCT methodology cannot be applied to their particular therapy. It is obvious that generally it can. The section on “Accountability” is interesting as well. It cites the relevant code of conduct. Whilst this doesn’t seem to require any particular standard of evidence for recommended therapies, it does at least require that nurses and midwives should be able, “to justify its use”. It also makes additional comments which strengthen this position. After these warnings it goes into herbal treatments. The quality of this section seems somewhat uneven: good advice and fair comment mixed with some dubious assertions. In its opening paragraph appeals to popularity and tradition are evident. Of course, just because something has been “used for centuries” and is widely available doesn’t mean that it’s actually useful in itself. This statement also seems to accept that herbal treatments can, “relieve an assortment of ailments“. The document then takes a strange tack. The assertion that lack of data on efficacy and, “little overall proof to back up the claims made for these remedies” on a, “lack of appropriate scientific studies rather than any absence of effect” belies bias: the document has assumed specific effects in the absence of data. Better trails might demonstrate “clear efficacy for some of these preparations”, or they might not. In fact the evidence of the literature on CAM tends to show diminishing effect with increasing study quality. As we shall see later, some of these alternative approaches to menopausal symptoms illustrate this nicely. This bias, an assumption of effects in the absence of evidence blights this document. ACOG’s new recommendations were also covered in an online FAQ. So it looks like the RCN have made a mistake here. ACOG’s position at the time they wrote their guide did not support the use of black cohosh. The comment on the six-month period seems to refer to safety concerns. This statement does confirm its use in Germany. This, however, does not confer efficacy. So, what evidence does the document offer? So we have two trials considered to be of reasonable quality. One showed improvements that, reportedly, “did not reach statistical significance”. The other found no statistically significant differences. This is really not a case of, “limited supporting data for the use of Black Cohosh”: this is a case of no credible supporting data. Even before this document was released, authoritative groups were releasing statements which were substantially less supportive than the RCN. For instance the US NIH published this in a consensus statement in 2005. There are general lessons here. The Jacobsen paper reported that, “Both treatment and placebo groups reported declines in number and intensity of hot flashes” showing the importance of methodological quality. He also concluded that, “Our study illustrates the feasibility and value of standard clinical trial methodology in assessing the efficacy and safety of herbal agents”; which puts claims about the unsuitability of RCTs for the assessment of CAM methodologies into a rational context. Vitally, whilst the RCN document opines that, “More rigorous analyses may yet demonstrate clear efficacy for some of these preparations” the development of evidence reflected by both NCAM and ACOG shows that the reverse is actually the case. At least a discussion of risks was included. Also, the document talks sense about the evidence for Dong Quai (Angelica sinensis), pointing out that, “there was no evidence that it was any better than placebo in relieving hot flushes” (Hirata, 1997) and warning of possible side-effects. The discussion of Evening Primrose (Oenothera biennis) oil is reasonable as well. It points out that, “A small RCT did not show any benefit over placebo in controlling hot flushes (Chenoy, 1994).” However, it also asserts that it appears, “to be useful for mastalgia, although it can take several months to have an effect” without producing any evidence. This is odd, given that a study available when this document was written concluded that, “Neither evening primrose oil nor fish oil offered clear benefit over control oils in the treatment of mastalgia.” (Blommers, 2002). Given that it contains much reasonable guidance, it is disappointing that when disusing ginkgo biloba, the document shows clear bias. I’ve discussed this in a previous post on the joys of Ginkgo. This passage is peculiar in a number of ways. First, when small studies have been cited previously this document has mentioned that they were small. This was done in the case of Chenov (n=56). Here the RCN neglect to mention that Hartley was even smaller (n=31). It was also a one week trial. However, the worst part of this is that the same lead author had published larger trials of the same herb before this document was published. This, at the very least, contradicts the findings of the trial that the RCN cited. It also adds to the impression that the findings are statistical noise rather than therapeutic signal. The selection of evidence cited by the RCN gives rise to an impression that they cherry-picked the oldest, smallest, shortest study. Could it be because this happened to be positive for Ginkgo biloba? Moving on to Ginseng (Panax ginseng), the guidance seems reasonable. Kava kava (Piper methysticum) provides an interesting example, as “concerns regarding its possible association with liver damage have led to it being either withdrawn or suspended by regulatory bodies in many countries including the UK.” This is again a good reminder that ‘natural’ does not equal ‘safe’. The final herbal interventions discussed are the use of phytoestrogens. Here, again, the trend for better trials to show CAM treatments in a less positive light – the opposite trend to the RCN’s stated expectation – is seen. I’m not in a position to check the details of the review by Nachtigall et al [Edit. 15/12/2008. I’ve checked it and it’s non-evidence: a couple of small (n=15) positive studies against three larger negative studies, including the best so far conducted (n=252):Tice et al., 2003). The paper offers up a meta-analysis with a non-significant difference between the herb and the placebo.] However, it doesn’t sit easily with the NIH consensus statement, which offered this view in 2005. So, what do I make of this document? It’s a little like the proverbial curate’s egg: good in parts. However, it seems to overstate the case for the herbs, even taking into account the state of knowledge in 2006. Its assumption that lack of evidence was due to lack of investigation, rather than lack of effect, is wrong-headed. The hope it expresses that, “More rigorous analyses may yet demonstrate clear efficacy for some of these preparations” was ill-founded even when the document was published. The story of the evidence surrounding black cohosh and phytoestrogens shows, as expected, that the reverse is proving to be the case. The misrepresentation of ACOG’s position on black cohosh is particularly troubling. As is it’s handling of the literature on Ginkgo. We have also seen several other instances where good quality negative evidence has been missed. It would also benefit from being rid of some appeals to common practise and tradition. However, on the basis of the RCN’s position that nurses and midwives, “should not recommend products or therapies over others without a good evidence base” it is clear that they shouldn’t be recommending herbal treatments. This document doesn’t provide a “good evidence base” for any of the herbs. I am not sure, in some instances that this document makes it clear. I notice that it is due for review next month. When it is I hope that it will reflect the current state of knowledge: as far as the evidence presently goes, the herbs don’t work – for symptoms of menopause at least. This entry was posted on November 18, 2008 at 17:23	and is filed under Supplements. Tagged: CAM, Complementary approaches to menopausal symptoms. RCN g, Herbalism, Logical Fallacies, menopause, RCN, Royal College of Nursing. You can follow any responses to this entry through the RSS 2.0 feed. Both comments and pings are currently closed. It is bad enough when the vendors or supplements distort the research evidence: it just feels a lot worse when this nonsense is promulgated by the Royal College of Nursing. dvnutrix: Good observation. The document gets even worse when it covers the other CAM therapies. In part two I’ll cover this – I’ve tracked down a ludicrous acupuncture paper that the RCN cite as evidence.